Reigning Australian Superbike (ASBK) Champion Troy Herfoss (Penrite Honda Racing CBR1000RR) and Australian Supersport contender Tom Toparis (Landbridge Yamaha) have joined the field here at Phillip Island for the FIM World Superbike (WSBK) and World Supersport (WSSP) Championships Round 1 this weekend (February 22- 24), taking part in their first two practice sessions today. World Supersport wildcard Tom Toparis (Landbridge Yamaha YZF R6) put in a solid performance to post a time of 1:34.658, placing him in good stead for tomorrow’s qualifying session. The session saw extremely close times throughout the middle of the field, and despite only being half a second off the top 10 the result left Toparis in 15th place. Toparis hinted at better performances to come over the following days. “I’ve gone a lot faster than I’ve ever gone today” he said. I feel good on the bike… (the) good thing is there was no crashes or major moments. 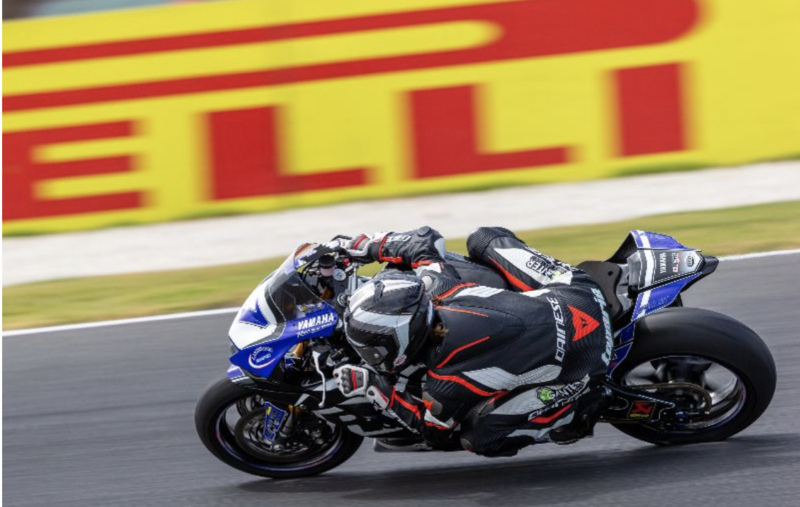 The result backed up a fantastic performance in today’s Australian Supersport qualifying, where he secured pole position for tomorrow’s first race. World Superbike wildcard Troy Herfoss (Penrite Honda Racing CBR1000RR) struggled in the day’s two sessions, ending with a best time of the day of 1:32.324 from the morning’s Free Practice 1. “It’s been very tough” said Herfoss. “Monday and Tuesday (at the WSBK official test) was literally the slowest I’ve ever been on a Superbike around this track. “It’s really disappointing. I just want to go faster. I just want to feel comfortable on the bike, and I want to represent (the Australian Superbike) Championship a little better than I am.